The Victoria Grizzlies made it a perfect two-for-two weekend, defeating the Powell River Kings 4-2 on Sunday afternoon in B.C. Hockey League play. Newest recruit Kade Pilton had a short-handed goal and an assist to pace the Grizzlies, who improved to 24-9-0-3 and move back into a tie for first overall in the league with the Penticton Vees. 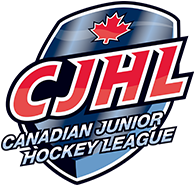 The Vees have played one more game than the Island Division leaders. He opened the scoring just as a 5-on-3, short-handed scenario was ending. The six-foot-five, 205-pound defenceman stuck out his long stick to steal a pass and buried one in the five-hole on a breakaway on goalie Braeden Ostepchuck at 3:59 of the first period. Teagan Waugh tied it at 1-1 on a Powell River power play at 3:22 of the second, but Leo Fitzgerald got it back when he one-timed brother Gerry Fitzgerald’s pass on a Victoria man advantage, 5:26 later. Pilton picked up an assist on that goal as well. He now has a goal and two helpers in two games since joining the Grizzlies from Regina Pats of the Western Hockey League. He had started the year with the Victoria Royals but was traded east. “They’ve been extremely welcoming to me here. It’s been a great first two games. We’ve won both, everyone is happy right now and we just want this to keep on rolling,” added Pilton. The Grizzlies defeated the Nanaimo Clippers 5-1 on Friday, erasing a two-game losing streak. 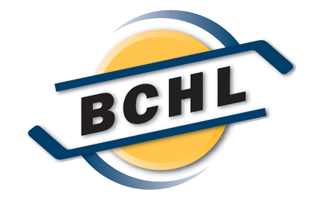 Victoria’s Garrett Skrbich and Powell River’s J.P. Villeneuve traded goals late in the third period on Sunday and Myles Fitzgerald flipped a slow, long dump-in into an empty net with eight seconds to go. The Grizzlies outshot the Kings 23-21 and goaltender Brady Rouleau earned his second straight victory. Victoria appeared to go ahead 3-1 midway through the third period when Skrbich made a nice feed to Mark McLellan, but the officials gathered afterward and nailed Chris Albertini with a major for charging and a game misconduct. The late call erased the goal and put the Grizzlies a man down for the full five minutes, but they killed it off. Albertini’s hit left Jarryd Leung in a heap. Leung struggled to get off the ice and was then taken to the dressing room as officials gathered, called off the goal and put another 24 seconds on the clock that had ticked off between injury and the goal. The Grizzlies will now head to the Alberni Valley on Friday night before returning home to play host to Chilliwack on Saturday. It could be a revamped team as the trade deadline arrives on Thursday and the Grizzlies look for a tweak or two. “We’ll listen. We have three cards left so we could be one of the active teams, given the amount of cards we have left,” said general manager and head coach Bill Bestwick. “We do like our dressing room a lot, though. We like our chemistry. Bestwick is likely looking for another scoring forward, a top-six player, but who isn’t? “If we were to do anything, it’ll probably be a forward, maybe for a little more depth in goal-scoring if at all possible,” he said. “Who doesn’t need that? There are 16 teams in our league, and I’m sure every team would like to have someone else who could score goals. “I liked our team on Friday night against Nanaimo. I thought the kids were real sharp and we got off to a good start today,” Bestwick said.